A few months ago we posted a deal on Fstoppers that appeared to be too good to be true. 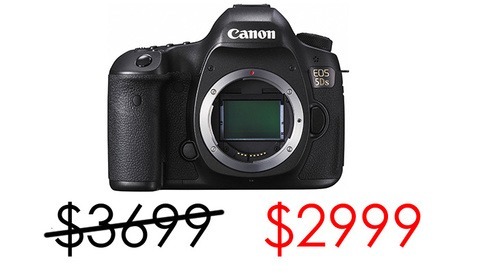 Brand New D750 cameras were selling for $1500, or 35% off retail. We bought 4 cameras and it ended up being legit. That deal is back again. This time the cameras are slightly more expensive at $1535 but that is still an incredible deal for this very current $2300 camera (which is now around $2000 at most online stores). Is there a catch? Well, kind of. 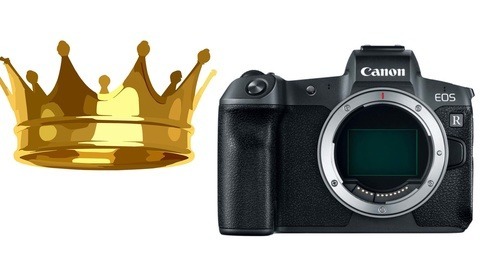 The cameras are grey market which means you will lose your warranty. When we got our cameras they obviously came from Japan in a kit box with the kit lens missing (obviously it was sold separately. We had to change the language on the camera to English. Other than that everything was totally legit. The cameras were new and it perfect working condition. Check out the image below. Basically you have to ask yourself if a warranty is worth $500 and to me it isn't. I've owned a lot of Nikon cameras and I've had many of them repaired and I don't think a single repair was covered under warranty. I had to pay for every single one. 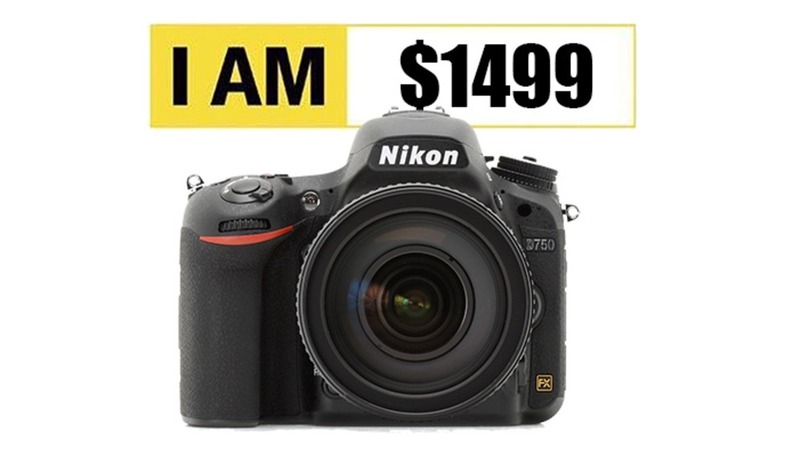 At this point we own 6 Nikon D750s so we are all set but we didn't want you guys to miss this killer sale. Are these considered Gray models or actually warranted? The answer to your question is in the article. I went ahead and ordered one today from eBay at $1530, a bit ironic that you'd post this just now but yeah, I'm very much looking forward to it. Is anybody worried these are ever fakes?? I do need to get a third body, but I have 0 trust in ebay non Nikon or Canon authorized sellers. And have heard some horror stories about people who have bought fakes of ebay. Any opinions? We bought 4 a few months ago; not fake at all just made for a different market (Japan). I don't think anyone has even made a fully fake counterfiet dslr yet but I can say with confidence these are exactly the same as one you would buy in best buy. Will Nikon USA even service these? If you're running a business, support is even more critical than the individual pieces of equipment you own when one should fail. Personally I wouldn't gamble by forking over $1.5k to some random user on eBay. Gamble or not, I find fstoppers' continued promotion of these grey market items a little questionable. If a reputable US dealer such as B&H sells grey market items, at least they offer to provide warranty services, in addition to the reassurance you get by buying from a decades' old brick-and-mortar store. You guys are advocating "hot deals" on gear designed for a different market, wholly without any warranty (or guarantee whatsoever), from eBay - a place notoriously known for selling knock-offs and whose users routinely run scams amongst unsuspecting buyers. You're talking about the PRIMARY tool a photographer uses, not some overpriced speedlight adapter. Knowing the vast influence fstoppers has in the photographic community, I find this to be in bad taste guys. Keep in mind, all the advisory warnings issued by Nikon cover the problems regardless of the market they were bought. Basically they are covering their faulty manufacturing on those few that had problems. Hello Patrick, I have a D750 grey market affected by the shutter problem and Nikon sent me the UPS Shipping label but once they have it they refuse to service it saying that is grey market. You said that Nikon will cover advisory warnings no matter of the market they were bought. Why they dont want to do it now? This is the first time I have heard of them not fixing a global recall advisory. I know one of our ex writers sent his grey market in and they repaired it since it was faulty due to the recall. We just sent one of our cameras to a service center in Chicago I believe (fails to power on). There is an Fstoppers article not long ago that lists some of the 3rd party repair centers now repairing the d750. I would try them and I'll keep you updating on our repair as well. Every time I see these pop up I cringe that I paid full price. That's what I get for being an early adopter (grey market or not). Yes, this is a great deal, and I am a die-hard Nikon user, but consider this if you live in the USA: NikonUSA has issued service advisories, and offered free servicing when there have been issues with D600 and D750 (and possibly more). When my D600 exhibited the dreaded oil spot issue, I would have been SOL with a gray market camera. Mine was a legit USA import and Nikon first replaced the shutter at n/c and later exchanged my camera for a brand new D610, also at n/c. 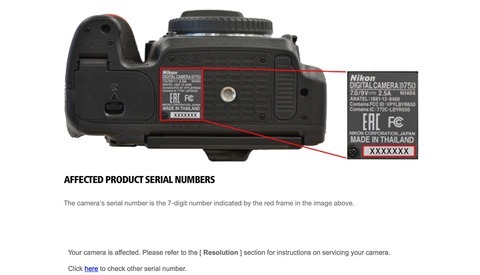 I know people who had their d750 grey market cameras covered by the Nikon service advisories. "When my D600 exhibited the dreaded oil spot issue, I would have been SOL with a gray market camera." Not true. 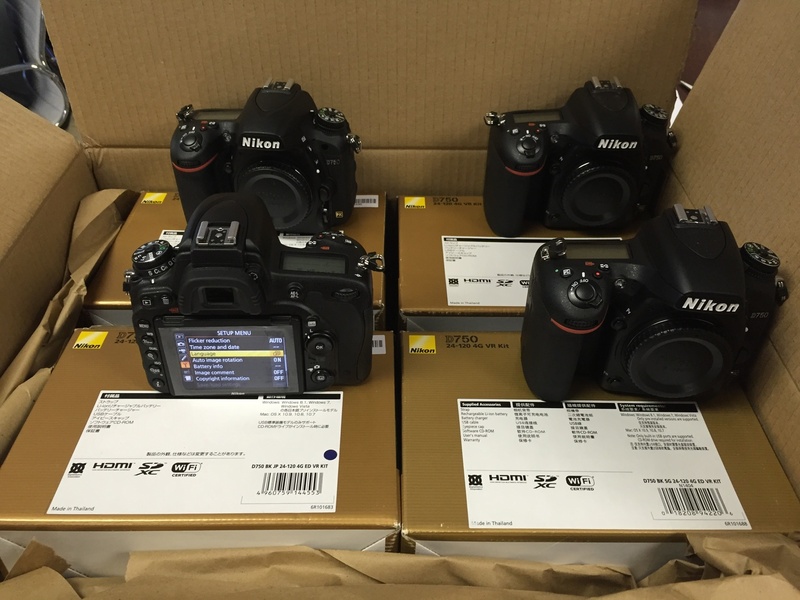 Nikon will fix and/or exchange ANY D600, regardless if it's out of warranty or gray market. A neat perk I suppose from the multiple class-action suites the got for staying too quiet, too long. What about firmware updates on these gray market cameras. Is it true that it is not possible? I have read articles saying yes and no. In for one. Thanks Lee! I got mine 2 weeks ago for $1499 and I am loving it. I opted for the SquareTrade 3 yr. warranty. Waiting for it to drop to $1499 again to pick up another. Put the serial into nikon and said no issues. Great deal! I took a chance a few months ago when it went on sale for $1499. So far absolutely nothing wrong with it. With the few recalls that were posted, I checked my serial number and there was no issues. I love this camera! One thing to be aware of is that when I did receive it, it was missing the cable/plug for the charger. Fortunately , it takes the same batteries as my D7000 so I used the charger for that. I contacted the eBay seller and they sent one to me. Legit. Also a BIG!!! thing to mention is that Nikon will not take these cameras in for fixing being that they are grey market. 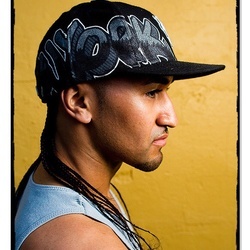 Tony Northrup bought a grey market from a guy online. Lens was legit! Then something happened and needed to get fixed but Nikon wouldn't take it because it was grey market. Something to note, many times the repair even on a non grey market camera is still upwards of $300 depending on what it is. At some point, especially after the D750 replacement comes out, the cost of a repair might not be worth it anyways. People tend to think that repairs are free but hopefully you won't have any issues (the only repair I've ever had was 1 blown shutter on a D800 after owning about 20 cameras over the course of 8 years). One final thing you can do is take a vacation to Japan and have it repair there under the correct warranty. Talk about a great way to write off a business trip! I bought a nikon D750 on ebay for $1530 like a month ago. Its not a fake its just from another country mine was brand new European. It had euro plug but came with the adapter for me to use here in the US. I checked my serial number for any problems and mine is all good. Only problem was that the user manual, CD, and warranty is all euro. I didnt care for any of those things so my purchase was great. YES! In fact I bought one last week, and I am very happy with the price and the camera! !